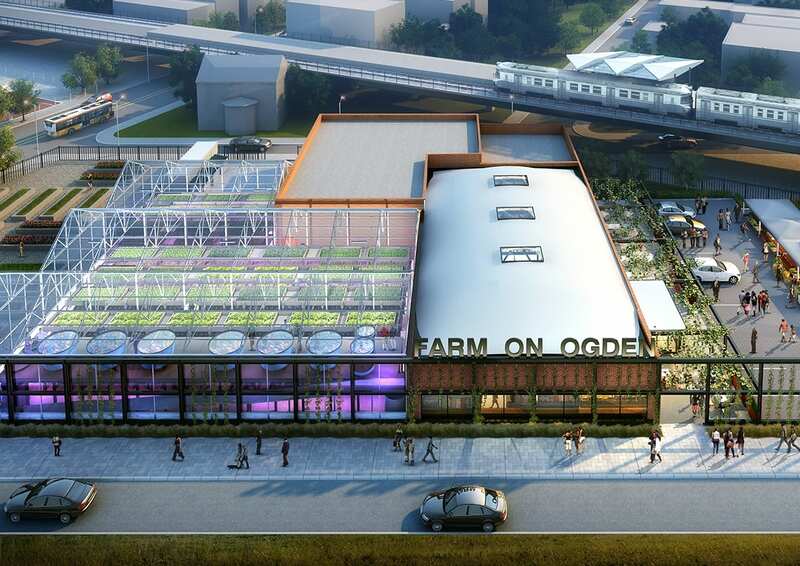 The Farm on Ogden is located in the North Lawndale neighborhood in Chicago’s 24th ward. Over the last 50 years, the area has experienced a decline, evidenced by an increase in crime and a decrease in population. More than 43% of the area’s residents live below the poverty line. The unemployment rate is nearly double that of the overall city. The site is on Ogden Ave, a wide thoroughfare which was originally designed to be a major southwest traffic artery from downtown but was superseded by the Stevenson Expressway. Directly adjacent to the site is the Central Ave CTA train station. An existing single story bow-string truss building will be preserved and renovated. 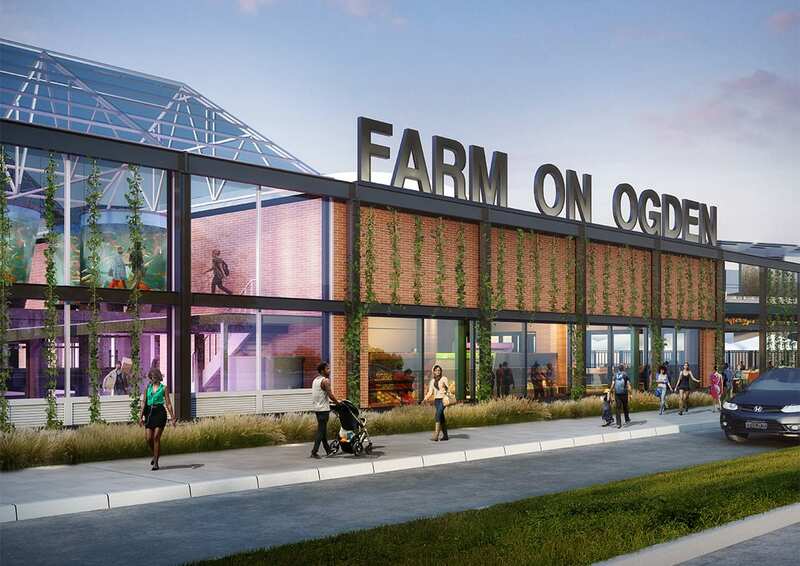 The Farm on Ogden will include facilities for the growing, harvesting, assembly, packaging and sale of healthy foods for the community. The facility will also serve to teach local residents about food preparation and healthy eating habits. The Farm on Ogden is the result of the blending of the missions of both Lawndale Christian and Windy City Harvest. Both organizations strive to improve the well-being of people in underserved Chicago communities. Lawndale Christian has long provided health and job training services. For several years, Windy City Harvest has provided an urban garden on the site, selling vegetables during the summer months. The design concept sought to expand on these existing services using both new and existing structures and repurposed land. The result, when combined with Lawndale Christian’s other nearby facilities will create a “critical mass” which will hopefully encourage additional development on Ogden Avenue.